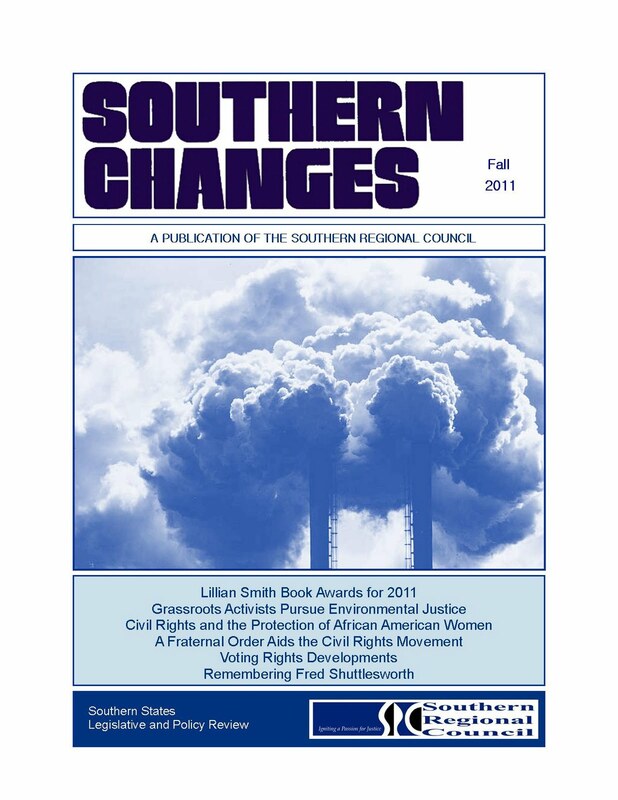 The Latest Issue of Southern Changes is Now Available! 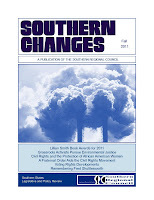 To request a hard copy or an electronic copy, contact the Southern Regional Council at charles.johnson@hklaw.com or deborah.jennings@hklaw.com. On December 9, 2 011, the U.S. Supreme Court granted an emergency stay that blocks the use of a redistricting map drawn by a panel of federal judges in Texas. The 2010 Census showed that over the last decade, Texas' population grew by 4.3 million. As a result, the state was given four new seats in the U.S. House of Representatives. The state's Republican dominated legislature redrew its congressional districts in ways that made it likely that Republicans would win all of the new seats. Texas is a "covered" jurisdiction. Under the Section 5 of the Voting Rights Act, it cannot implement its redistricting plan until it is approved by the U.S. Department of Justice or by a federal court in Washington D.C. The Obama administration objected to Texas' redistricting plan, as did several Latino civil rights groups. Instead of following the usual route of seeking approval by the Department of Justice, Texas filed a suit seeking preclearance in the U.S. District Court for the District of Columbia (a choice that the Voting Rights Act allows). The State later moved for summary judgment on the preclearance question. The federal court in Washington denied the summary judgment motion which means that the case will proceed to a trial. Six consolidated cases filed by individuals and civil rights organizations are pending in a federal court in San Antonio. The plaintiffs in those cases claim that Texas' redistricting plans violate the U.S. Constitution and the Voting Rights Act. They contend that the legislature drew the maps to dilute the influence of the state’s rapidly growing Latino population, which accounted for more than half of Texas' population growth. The federal court presid ing over the cases challenging Texas' redistricting plans issued an order on September 29, 2011, enjoining implementation of the State's plans pending Section 5 preclearance. Texas primaries are scheduled for March 2012. 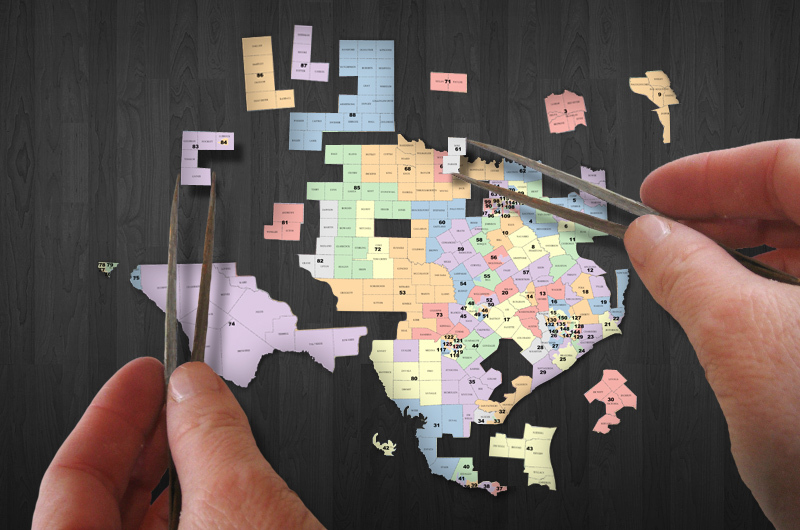 After Texas' summary judgment motion was denied by the court in Washington, the federal court in Texas decided to draw an "interim" redistricting map that would allow election planning for 2012 to proceed. 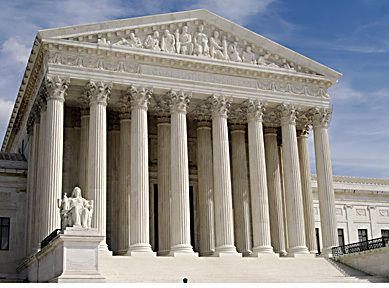 Federal law provides that challenges to redistricting cases are to be heard initially by three-judge federal district courts with direct appeals to the Supreme Court, by-passing the usual route of proceeding through federal appellate courts. Texas sought review of the "interim map" decision in the U.S. Supreme Court, which issued an order staying the decision issued by the federal court in Texas. 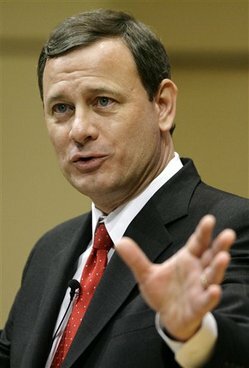 The Supreme Court said it would hear special arguments on January 9, 2012, to decide whether Texas can hold elections using redistricting plans that have not been approved under the Voting Rights Act. It appears that the Supreme Court will only rule on the validit y of the Texas court's decision to draw its own redistricting maps. None of the lower courts have ruled on the underlying question of whether the districts established by the Texas legislature violate federal law or the Constitution. But that won't prevent Justices such as Chief Justice John Roberts and Associate Justice Clarence Thomas from reiterating their claims that Section 5 of the Voting Rights Act is unconstitutional. Despite the mountain of evidence of continuing discrimination complied in Congressional hearings when the Voting Rights Act was reauthorized in 2006, they contend that the patterns of discrimination that justified Section 5 in 1965 have been eliminated. This case is one of the many challenges to the Voting Rights Act by those who are unwilling to accept the realities of rapidly changing demographics and continuing efforts to discriminate against minority voters. Lela nd Ware, a member of the Board of the Southern Regional Council, is Louis B. Redding Chair and Professor for the Study of Law and Public Policy at the University of Delaware.He is the author of numerous publications, and he served as co-editor of the recently-published volume, Choosing Equality: Essays and Narratives on the Desegregation Experience. When he died, I read the death notice in the newspaper, my first experience, at the age of 11, reading about someone I knew in the obituaries. Near the end, it said that my grandfather was a thirty-second degree Mason. My eyes lingered on that strange phrase. I had heard of Masons as a secret brotherhood, which fascinated me. But I was confused: had Grandpops kept his Masonic identity a secret? What did ‘thirty-second degree’ mean? It sounded impossibly high in the Masons’ hierarchy, a fact at odds with my sense of my grandfather, who tended to disdain hierarchies. Who was this man? Prince Hall founded African Lodge No. 1, established in Boston in 1787 with a charter from the Masons of Britain. When white American Masons refused to grant Hall and other black applicants membership, they started their own lodge. For over 200 years, the fraternity of American Freemasonry, with a core tenet of universal brotherhood, was segregated by race. When I looked for people who could tell me about Prince Hall Masonry and George Crawford, I soon came to Dr. Ann Robinson. Robinson, a North Carolina-born psychology professor and community historian in New Haven’s Dixwell neighborhood, grew up seeing Prince Hall Masons as unwelcoming, notwithstanding that her father was one. She and her husband moved north in August 1967, when her husband took a position at the Yale School of Medicine. Those years were exciting but tumultuous, with riots, the assassination of Martin Luther King, Jr., and New Haven’s Black Panther trial. 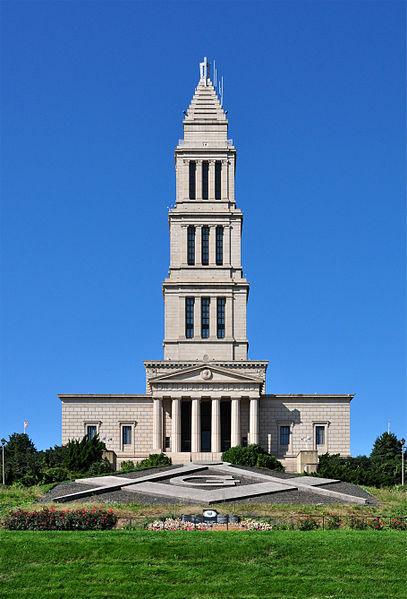 For decades as the city endured waves of ups and downs, Freemasons seemed irrelevant. So she was startled when, in the 1990s, she was asked by the local Prince Hall Masons to help prepare their lodge to become part of the Connecticut Freedom Trail. “It was a secret society,” she said when we met last winter, “a world of men closed to women.” But the Masons knew they had to extend a hand across old barriers to reach a new generation. Before long Robinson was inside the Widow’s Son Lodge, an old brick building she had never imagined entering in 30 years. There Robinson “met George Crawford as a historical personage,” she explained. “You enter the building – there’s George Crawford.” A bust in the foyer stands at a height he had in life and his contributions. You go further in, to the main room – there’s George Crawford in a large portrait on the wall. You can’t tell if he’s white or black, he’s simply stiff and formal. Who was this? Robinson wondered. We explored this question when we met again in June 2011, on a rare day when New Haven’s Prince Hall lodge opened to outsiders. It was part of New Haven’s International Festival of Arts & Ideas, and a sign out front said: ‘Walking Tours, Arts & Ideas.’ Robinson as community historian had organized the event and invited me to share what I had learned about Crawford. People who knew Crawford in life often commented on his imposing presence: “You could feel it when he came into a room,” recalled one, “You knew he was there.” They remembered his oratorical skills and willingness to trade jibes with white corporate bosses on the steps of city hall. Yet over time he seemed to pour himself less into his own individual portrait, and more into the work of changing institutions: shoring up Howard University as a member of its board, filing briefs for the NAACP, serving as New Haven’s corporation counsel, administering an obscure fraternity. It seemed that the law and Freemasonry harnessed all of Crawford’s energy. Born in October 1877 in Tuscaloosa to parents who had grown up in slavery, Crawford faced bleak prospects in rural Alabama. Orphaned while he was still a young boy, he was raised by grandparents in Birmingham. At 16 he made his way to Tuskegee, where Booker T. Washington was headmaster. As Washington’s office boy, Crawford was one day assigned to the print shop, where other workers teased him. His anger exploded and he hurled a blocked typeform at one of them. It sailed across the room, scattering wooden type everywhere. Crawford was sent to the headmaster, where Washington talked him down, then let him off without further punishment. Crawford graduated from Tuskegee Institute the year that the Supreme Court ruled for segregation in Plessy v. Ferguson. After a bachelor’s degree from Talladega College, he launched into a new century with law school applications. He ended up at Yale Law School, and happened to be there when Booker T. Washington and President Theodore Roosevelt (also a Mason) both received honorary degrees during Yale’s bicentennial celebration in 1902. Crawford was likely in the audience then, one month after Washington and Roosevelt met over a meal at the White House. The image of a black man sitting down for dinner at the White House (with white women present) had outraged Southern whites, and mindful of the backlash, Roosevelt and Washington barely acknowledged each other during the Yale event. In Crawford’s scrapbooks there’s a telling artifact from that time as a freshly minted Yale lawyer. Alongside newspaper clippings about his winning the Townsend Oration Prize, he had carefully placed the only recognition of his accomplishment from his home newspaper in Birmingham: a racist cartoon that depicted him as a grinning caricature beside a gravestone for Yale’s standards. The clipping, saved by Crawford for the rest of his life, testified to his capacity to burnish a cool outrage. Ultimately he decided to settle in New Haven with an appointment to Connecticut’s Probate Court. Still he always remained attuned to the needs of blacks in the South, often going back to the segregated world of Talladega to serve on the college’s board or craft a vocational guide for its graduates, and through his activity with the Masons and the NAACP. Craw ford joined Du Bois at a gathering at Niagara Falls in 1905 to establish a more assertive movement for equality, in an apparent break with his schoolmaster Washington. The Niagara Movement urged the U.S. government to end discrimination and illiteracy in the South, and to enforce the Fourteenth Amendment. 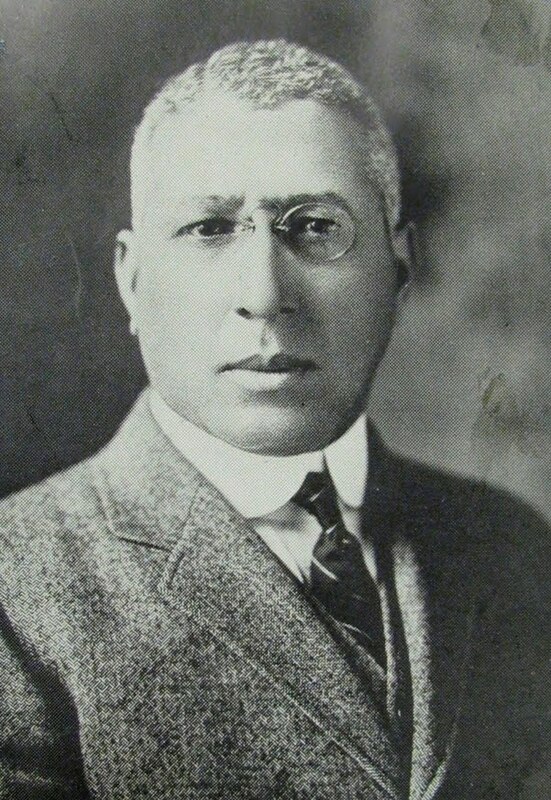 Crawford managed the Niagara Movement’s Civil Rights Division; when the organization fell apart, succeeded by the NAACP in 1909, Crawford helped establish that too. That same year he was initiated among the Prince Hall Masons at Widow’s Son Lodge, No. 1 in New Haven. 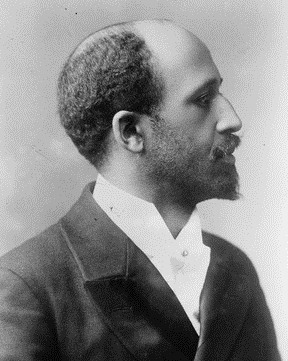 Soon afterward he invited Du Bois to be inducted as a Mason there as well. For Crawford, the NAACP and Prince Hall Masonry both were re-igniting high ideals and a search for social justice. He and his wife Sadella had a daughter, Charlotte, and a son who died at just two days old. In the wake of that family tragedy, Crawford funneled even more energy into NAACP affairs and the Masons. He published a book, Prince Hall and His Followers, a robust defense of the group at a time when white Masons waged legal attacks against Prince Hall Masonry and other black fraternal societies. (Legal suits by white masons aimed at shutting down black fraternal orders began before 1900 and were among the first victories won by the black fraternities in the courts.) His idea of slow, steady legal change fused with his sense of Prince Hall’s vision. A test of the national coordination of the new NAACP came in its campaign against D.W. Griffith’s 1915 film, Birth of A Nation. Crawford led the New Haven campaign, pushing city officials to cut the most egregious scenes in the film’s racist interpretation of blacks and American history. NAACP branches across the country waged protests, The Crisis reported, but “the most astonishing cutting has taken place in New Haven.” Crawford obtained an injunction and got the Mayor personally involved in reviewing the film, resulting in more thorough censorship of the racist scenes than anywhere else, noted The Crisis. To make sure the scenes stayed cut, Crawford got a ticket to every screening. In 1917, the NAACP scored another legal victory in a defense of black soldiers accused of inciting unrest in a segregated town, and won. Crawford highlighted this and other victories at the national meeting of Prince Hall Masons and urged that they support the NAACP’s work. By 1920 the NAACP was receiving strong support from fraternal organizations and their sister groups. At an annual meeting in Detroit, the leader of the New Orleans branch of the Daughters of Isis, a Masonic affiliate, presented a check for $57 – half her salary – to the NAACP Legal Defense Fund. Contributions also came from Eastern Star, another Masonic sorority. Through the following decades Crawford kept Masons’ attention on what the NAACP was doing nationwide for civil rights. Crawford led the northern branch of Prince Hall Masons for nearly a half century. In 1966, a senior housing project in New Haven was dedicated in his honor with the governor, Marian Anderson, and Roy Wilkins attending. The next year, Crawford watched his Masonic brother Thurgood Marshall get confirmed as a Supreme Court justice. 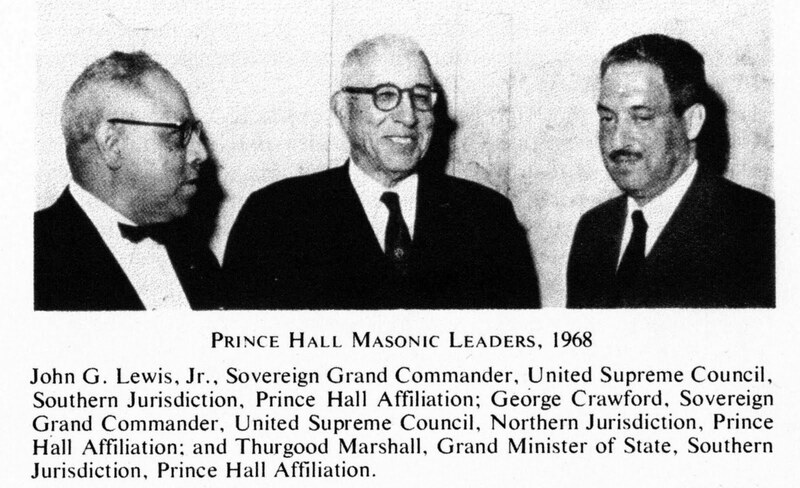 A photo of Prince Hall leaders around that time shows the two together, with Crawford uncharacteristically smiling. White Masons in Connecticut were the first to recognize Prince Hall Masonic lodges officially, in 1995. Most states followed suit, yet today white Masons in several southern states still refuse to accept Prince Hall Masonry as legitimate. Within view of the towering temple of my grandfather’s white Masonic lodge, Alexandria’s Prince Hall Masonic lodge operates from a little bungalow near a subway station. Lee Roy Steele, its Historian Emeritus, is in his 90s but clearly remembers the segregated city and the duality in Masonry that mirrored daily life. “At the bus stop you were the last one they let on the bus. That didn’t make any sense, for one thing, because you’d have to squeeze past everyone who had already gotten on to get to the back.” Nothing diminished his pride in being a Prince Hall Mason; he recalls Thurgood Marshall at regional meetings. “I enjoyed every bit of it,” says Steele. “You feel good being in an organization for 62 years.” For him, the organization’s role in advancing civil rights is obvious even though few non-Masons these days know it.